but more of a game of Tic Tac Toe at a cozy little Applebee's. Nothing better than some Artichoke Dip! and a trip to Trader Joe's. 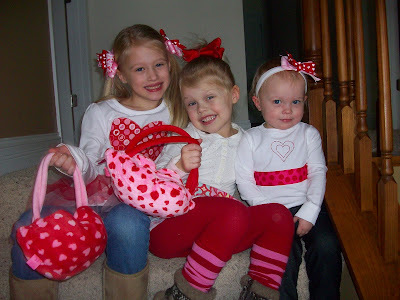 The girls all glammed up in the Heart Day Gear. Can you say crazy cute? Love me some pink and red. 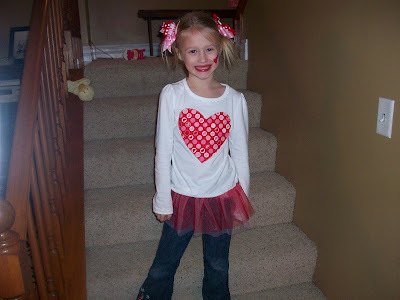 Here is Sophie before her Valentine's Day party at preschool. 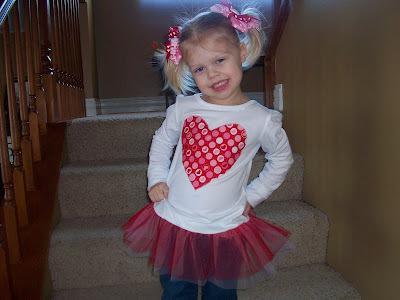 She loved her tutu shirt I made thanks to Julie at Joyshope. I can always count on her for some sewing inspiration. Mia jumped in to pose with Sophie on her special day! 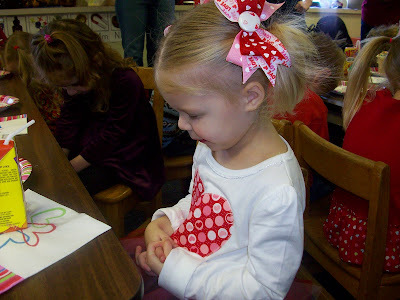 Saying the prayer before snack. Build A Bear after her Valentine's party! She loved washing her new puppy, Gussie. 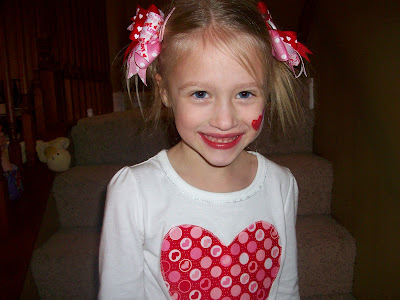 Mia on the day of her Valentine's Party! my nephew Meade just turned one. 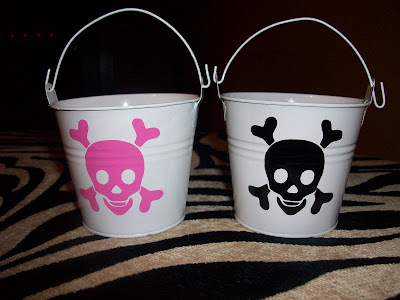 I made my sister some fun party favor buckets to hand out at his party this weekend. 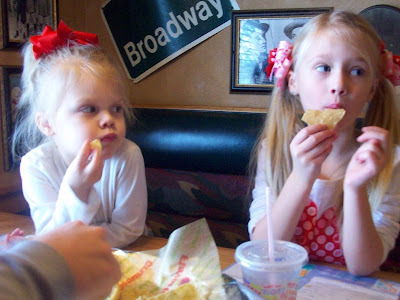 The girls are SUPER excited to celebrate their cousins birthday! closest thing to a BROTHER they will ever have! On another note, Sophie's got the Skills to Pay the Bills. to have her wear it in REAL public. Do you think people will look at me like I'm a weirdo mom? after her can of paint she picked out has been chillin' in her closet for over a year. So, he got out the trusty paint roller and tray and Voila! 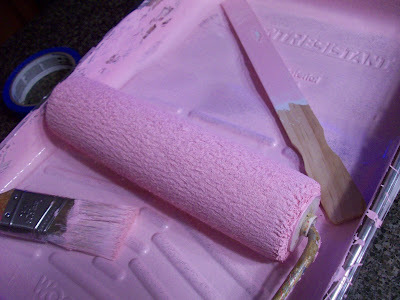 EVEN MORE PINK added to our home! She now calls her room, PINKALICIOUS. Can you guess the theme of Sophie's upcoming party? 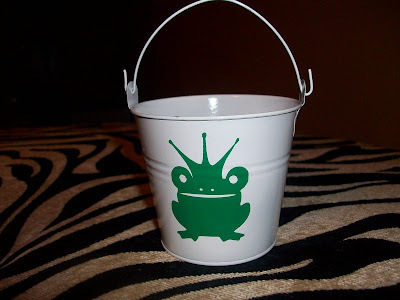 any image for my party favor buckets in my shop! If you need a fun party favor, feel free to email me! I would love to create some fun & unique buckets for your child's party! 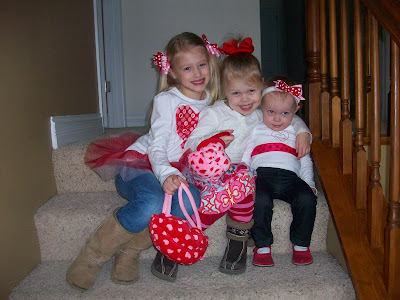 CUTE Marty...Love the girls CUTE tutu shirts!!!! Can't wait to see you tomorrow. Maybe we will come over for a visit!! 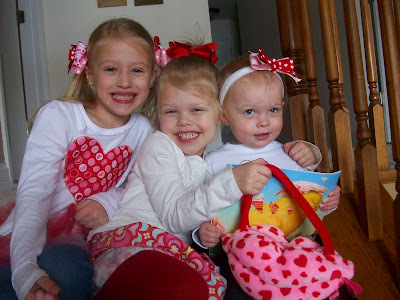 Such cuteness, and pictures of the pinkalicious room, please!! 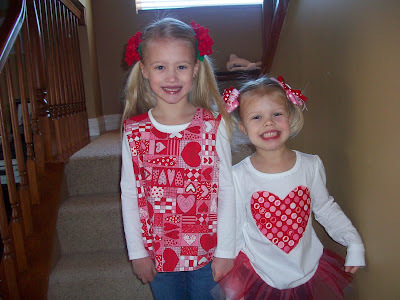 I used the same fabric to make my ladies some valentines shirts and a little something for their hair too!! Skills to pay bills don't always include dirty ones! If someone would be offended I would tell them to get their mind out of the gutter! Super cute pictures! Love your tutu tee's. 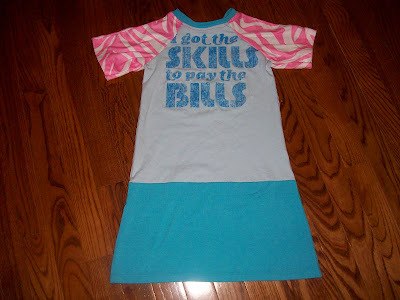 Weren't they SO fun to make? Julie rules.